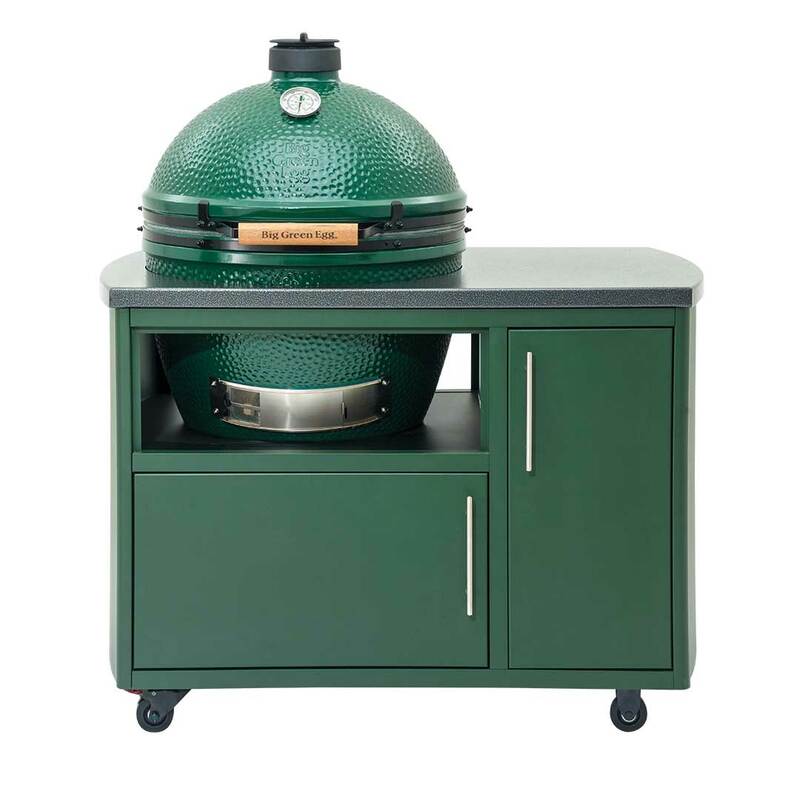 Designed and engineered to work perfectly with your Big Green Egg for years of enjoyment! The 49 inch Custom Cooking Island fits smaller spaces. It offers the convenience of a heavy-duty sliding shelf and features high-quality aluminum and steel construction.